1876. 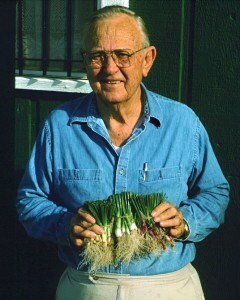 Dr. Carlisle P. B. Martin, Professor of Practical Agriculture, taught horticulture as a member of the first faculty at The A&M College of Texas. One of the first departments was Agricultural and Scientific Courses which included chemistry, farm tillage, horticulture, arboriculture and the care of stock. 1892. The Department of Horticulture is formed, with Robert H. Price as head. It is now called Horticultural Sciences. 1903. Department of Agriculture was divided into three departments; Animal Husbandry (John A. Craig, head), Plant Husbandry (E. J. Kyle, head), and Farm Husbandry (F. S. Johnston, head). 1933. Texas Agricultural Experiment Station horticulturists at the Research and Extension Center at Weslaco begin an onion-breeding program to develop varieties better adapted to South Texas. The program is expanded in 1939, in partnership with the U.S. Department of Agriculture. Texas A&M College officially releases the ‘Texas Early Grano’ (also called Grano 502), the mother of all sweet onions in the world. 1937. Texas A&M horticulturists begin a peach-breeding program to develop cultivars that will grow in low-chill southern regions. The program has a significant impact on the peach industry, and today’s horticulturists are collaborating with researchers in Thailand to develop peach cultivars to replace opium poppy farming. circa 1920. Guy W. Adriance was appointed head of the Department of Horticulture, and he served in that capacity until 1961. 1925. Department of Landscape Art was organized under F. W. Hensel. 1950. The Department of Landscape Art was reorganized with a broader mission, and it became the Department of Floriculture and Landscape Art in 1950 under the leadership of A. F. DeWerth. 1959. ‘Brazos’ blackberry was released. ‘Brazos’ has been a standard variety in Texas for decades, and it was one of the foundation varieties upon which all the “modern” blackberries grown in the southeastern U. S. and elsewhere were built. ‘Brazos’ was the development of the Texas Agricultural Experiment Station program which was the first public blackberry breeding program that was established in 1909. 1961. Floriculture and Landscape Art was renamed the Department of Floriculture. 1962. The Departments of Horticulture, Floriculture, and Agronomy were combined and the resulting department was named Soil and Crop Sciences. Programmatically the horticulture group remained separate, but they were administered as part of larger Soil and Crop Sciences Department. 1971. Patented under the trade name NZN® by Dr. Benton Storey and Allied Chemical Company, this unique formulation of soluble zinc was one of the first plant nutrients to be applied to tree leaves on a large scale to correct zinc deficiency problems with pecan that plagued the pecan growers. 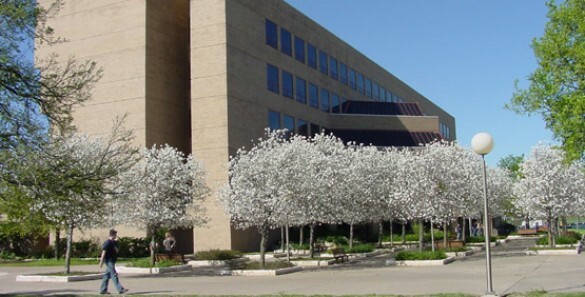 Storey’s development makes it possible to economically produce pecans in many areas of Texas. Storey’s later research on fatty acids in pecan germplasm led to the development of varieties that can improve human health by lowering cholesterol levels. 1973. The Texas Potato Breeding and Variety Development Program is initiated in the Department of Horticultural Sciences. Since the 1980s, through research led by horticulture and genetics professor J. Creighton Miller, Jr., the program has developed, co-developed, or released 12 improved varieties, with the Texas Russet Norkotah strains being the most popular. By 2009, virtually all of the russet potatoes grown in Texas were of this variety. Since the inception of the program, the farm-gate value of the potato crop in Texas has grown from less than $20 million per year to approximately $117 million. 1976. The horticulture group separated from Soil and Crop Sciences and became the Department of Horticultural Sciences. 1978. The Master Gardener program, first established by the Washington State University Cooperative Extension Service in 1972, was introduced in Texas by Dr. Samuel D. Cotner (1941-2011), Extension horticulture specialist and professor and head of the Department of Horticultural Sciences. The first Texas Master Gardener class convened in Montgomery County in 1979. This volunteer development program consists of 6,300 Master Gardener volunteers who contribute over 500,000 hours of service annually through 100 county AgriLife Extension offices. This service equates to over 250 full-time employees and has an economic benefit of $10.5 million to the citizens of Texas. Each volunteer receives 50+ hours of training and return 50+ hours of volunteer service within one year to be certified as a Texas Master Gardener. The Texas Master Gardener program is the largest in the nation. 1983. A research team led by horticulturists Dr. Leonard Pike and Dr. Paul Leeper develops the ‘Texas Grano 1015Y’ onion, named for its recommended planting date, October 15. Mild and sweet and resistant to pink root disease, it becomes so popular that it makes up a large portion of the sweet onion production in Texas. Pike later developed four follow-up lines that enhance the healthful compounds found in onions. 1982. Established in 1982 as the bequest of the internationally renowned floral designer, author and teacher, M. “Buddy” Benz ‘32 of Houston, the Benz Endowed Chair of Floral Design has achieved an international reputation under the guidance and leadership of the first chair holder, Mr. James Johnson. The multi-faceted Benz Program includes an academic degree in floral design and event planning, the Benz Gallery of Floral Art, the Benz School continuing education program, and a publishing arm that revises and markets the definitive floral design books written by Benz, Flowers: Geometric Form, Flowers: Free Form, and Flowers: Abstract Form. An international extension of the Benz School has been established in South Korea. 1984. The Horticulture/Forest Science Building is completed, and the Department of Horticultural Sciences moves in. 1990. The Rose Breeding and Genetics Program was established and Dr. Robert Basye established the Chair in Rose Genetics and Breeding. Dr. Basye said that “We now need to unlock the treasures of the entire rose genus. One man and one lifetime are not enough. The logical answer is a university, where the torch can be passed.” The major goal of the program is to develop unique sources of disease resistant germplasm that gardeners can enjoy and breeders/hybridizers can use in developing disease and pest resistant rose cultivars. 1992. The Vegetable Improvement Center is established as part of the College of Agriculture and Life Sciences Department of Horticultural Sciences, with Dr. Leonard Pike as director. Fruit was added to the name and scope in 1999. The center’s work focuses on developing fruit and vegetable varieties higher in nutritional and disease-fighting compounds and on scientifically proving these health-promoting properties. 1994. Aggie Horticulture, the Website of the Texas Horticulture Program, began providing information on the World Wide Web in October, 1994. Visitors can obtain Extension publications, factsheets, newsletters, academic course Websites, and research information from all participating faculty on a continuous basis. Aggie Horticulture is one of the most active horticultural information sites in the world, serving over 40 million pages to 6.7 million discrete users in 2010. 1998. The ‘Beta Sweet’ maroon carrot, developed by Dr. Leonard Pike, founding director of the Vegetable and Fruit Improvement Center in the Department of Horticultural Sciences and the Texas Agricultural Experiment Station, is made available commercially. Pike began breeding the carrot in 1989. It contains about 40 percent more beta carotene and more anthocyanin than conventional carrots; these antioxidants are known to help prevent cancer. 1999. Junior Master Gardener® (JMG) Program – Created, trademarked, and launch in 1999 by AgriLife Extension, the Junior Master Gardener Program is an international youth gardening 4-H program that enrolls more than 200,000 Texas children annually (representing 1/5 of Texas 4-H annual enrollment) through over 300 registered groups. The program is implemented through the county Extension network to public, private, home school programs, traditional community based 4-H clubs, Scouts, Botanical gardens/arboretum, children’s museums, libraries and in after-school programs in partnership with adult Master Gardener volunteers. The JMG program grows healthy minds and bodies through gardening and environmental stewardship. Ongoing research through university partnerships is quantifying significant positive impacts of the program on children. The program continues to expand beyond Texas with JMG groups in all 50 states; 36 land-grant universities are registered/licensed JMG program partners. Internationally, the Junior Master Gardener program has partnered with the Borlaug Institute for International Agriculture to conduct volunteer and teacher training programs in Honduras, Guatemala, and expanding to other Latin American countries. The Junior Master Gardener program also has active programs in Canada and South Korea. 2000. 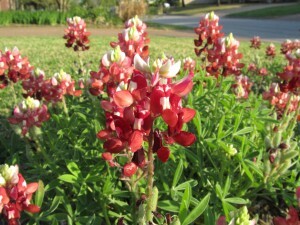 ‘Texas Maroon’ bluebonnet was released. 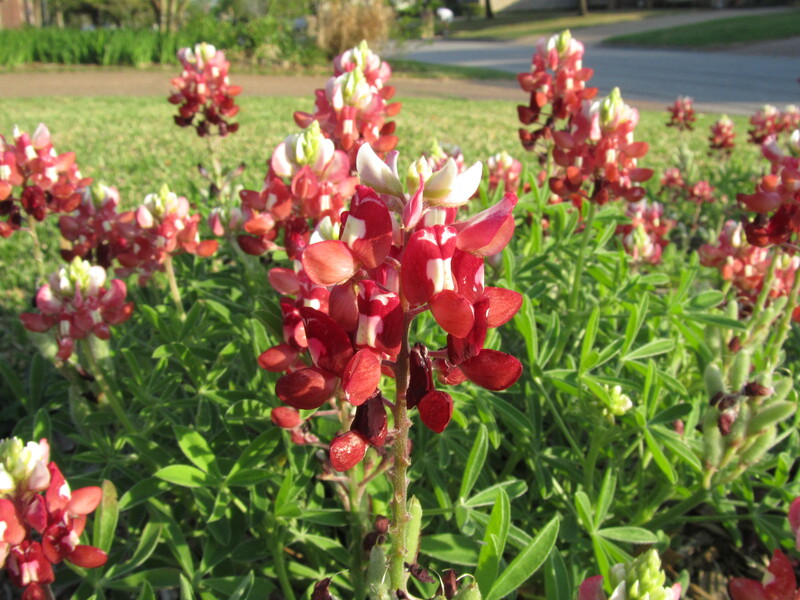 ‘Texas Maroon’ bluebonnet (later to be marketed as ‘Alamo Fire’) was the culmination of a lengthy bluebonnet selection effort led by Dr. Jerry Parsons, the original goal of which was to enable the planting of the Texas state flag in red, white, and blue bluebonnets. Additional color selections of the Texas state wildflower have been released including ‘Abbott Pink’ (1993), ‘Barbara Bush’ lavender (1994), and ‘Lady Bird Johnson Royal Blue’ (2011). 2004. The Ellison Chair in International Floriculture was created to advance the health and vitality of the floriculture industry on a national and international scale by combining academic strength in research and outreach programs with strong industry support and collaboration. The inaugural Chair holder was Dr. Edward Hiler, former Vice Chancellor and Dean of the College of Agriculture and Life Sciences, and the mission of the program has been continued since 2007 by the current chair holder, Dr. Charles Hall. 2004. Earth-Kind® Environmental Stewardship – AgriLife Extension Horticulture specialists and agents establish and trademark the Earth-Kind® Environmental Stewardship program for Texas and the nation. The Earth-Kind program uses research-proven techniques and plants to provide maximum garden and landscape enjoyment while preserving and protecting the environment. It encourages: landscape water conservation; reduction of fertilizer and pesticide use; landscaping for energy conservation; and reduction of landscape wastes entering landfills. The program combines the best of organic and traditional gardening and landscaping principles to create a horticultural system based on real world effectiveness and environmental responsibility. To demonstrate the system, over 100 roses were evaluated to determine the toughest of the tough for Texas. The 25 varieties selected were designated as Earth-Kind® Roses by the Texas AgriLife Extension Service. 2008. Ralph Moore, a rose breeder known as the father of the miniature rose, donated his cultivars and all the breeding materials he had developed over a 70 year career in rose breeding to the Rose Breeding and Genetics Program at Texas A&M. His donation was a sign of his respect for Dr. Basye’s work and the research being conducted at Texas A&M in rose breeding and genetics. This germplasm donation was a perfect fit as it allowed the program to combine the superior range of horticultural traits from Ralph Moore’s work with the excellent disease resistance from Dr. Basye’s work.